……. and off it goes! This morning some of this group of smiling people set off on the long journey to Nepal, taking with them as much of your donations as they could possibly carry. The rest will be going later! Cheryl, (who is in the centre in the purple jumper), travelled to Gatwick airport this morning to wave them all off. It is unlikely that we will get much feedback once the group arrive at their destination, as communication from the remote areas is very limited. Your donations of items will make a significant difference in the short term to some families, who just over a week ago were getting on with their daily lives. The money donations will enable The Lisa May Foundation to source more items to help rebuild lives in the long term. Once again – thank you – you have made a difference. Remember when we did the collection for the flood victims down the road?- well now we need to go a little further afield with our generosity. 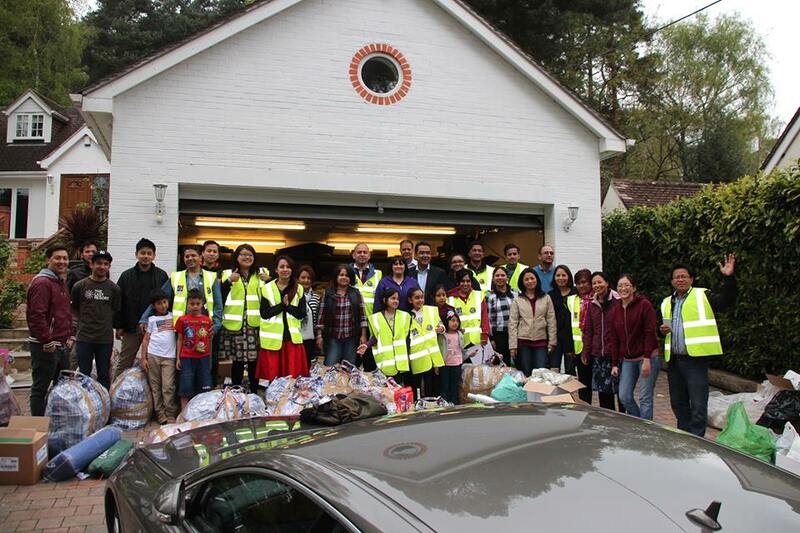 No doubt you will have all seen the reports coming from Nepal and as we have many members of the Nepalese community living in this area we wish to give their family and friends back in Nepal some Bagshot/ Surrey Heath support. Please see below a message from Cheryl from The Lisa May Foundation, who incidentally are now based back in Bagshot. I am working with Cheryl to collect donations – not just money, which would be very welcome, but also items, which are going to be sent to Nepal in the next few days with a group of Nepalese doctors – most likely on THURSDAY. 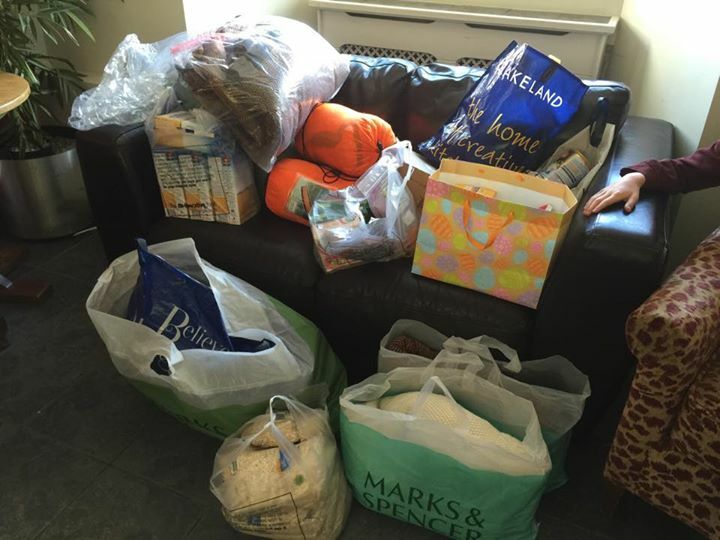 Please see the complete message below for more details – but in a nutshell ……..
Ollie at The Cedar Tree has very kindly offered to be the collection point for the following items, which can be left between 12 noon and 11pm. These are the only essential items we are collecting at the moment – some others bits and pieces may join the list for the next shipment. Now read the message below from Cheryl, watch the short video appeal they have made and if at all possible …. please help. There is a link there to make a donation through virgingiving or you can put money into the special purple Lisa May collecting cans, which will be appearing in local businesses very soon. Thousands of people in Nepal have been tragically affected by a devastating earthquake that struck the country on the 25th of April. Over 3,600 have sadly died, more than 6,500 are injured and thousands more are still missing. There are so many ways that you can help to make a difference now with emergency care, and later on when everybody is desperately trying hard to re-build their lives. Anything, no matter how small will go a long way. You can either visit our Virgin Money Giving page to make a donation now. From Monday 27th April till Thursday 30th April when supplies will fly out. These essential items will be taken out by a group of Nepalese doctors who are travelling out to Nepal to provide immediate help in the next few days.